The ever popular Nerd HQ, hosted by Zachary Levi’s company The Nerd Machine, which benefits the charity Operation Smile, is back for San Diego Comic-Con 2015. This year they’ve set up camp in the New Children’s Museum, which is definitely the most comfortable and relaxing venue that they’ve used to date. The couches are comfortable, the lights are low, and everything just feels really relaxing despite a flurry of activity happening around you. The only downside is the conversation room itself, which is all one level instead of the stadium seating that we got when Nerd HQ was at Petco Park. It’s also a complete dead zone as far as cell service goes. Nerd HQ has WiFi, but even while connected to it I was having trouble uploading anything to Twitter as I’ve become accustomed to during panels. I wish I could have the conversation rooms from the past two years with the new awesome atmosphere from the new venue. It’d truly be the best of both worlds. My first Nerd HQ panel of the year was a conversation with William Shatner. 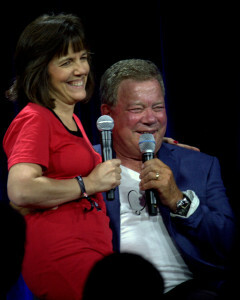 This was also Shatner’s first time attending Nerd HQ and he really seemed to enjoy the small tight knit atmosphere. When the first fan asked a question from the front row he was shocked at how close he was and joked that the fan should ask the question from his lap. The fan hopped up on stage and did just that. Later on in the panel a woman specifically requested to ask her question from his lap, which was slightly awkward and led to some innuendo that I don’t even really want to bother summarizing. But the point is, he seemed to be having loads of fun and the smaller setting suited him well. I hope he’ll be back. The conversation covered a range of topics, including his charity work and relationship with Misha Collins. Misha’s Minions can note that the two often poke at each other on Twitter and, most recently, Shatner decided to take part in Misha’s annual scavenger hunt GIshWheS. Team Shatner came in the top 10 teams (as did my team, woo! Go Team Subtext!) and as a result of his participation GishWHes apparently gave his Horse Charity at $10,000 donation. Shatner used this to give Zachary Levi major props for the amount of money he was raising for charity with Nerd HQ. More than $4,000 was raised during Shatner’s panel alone, which will allow 16 children to have life changing surgeries to repair cleft lips and palates. 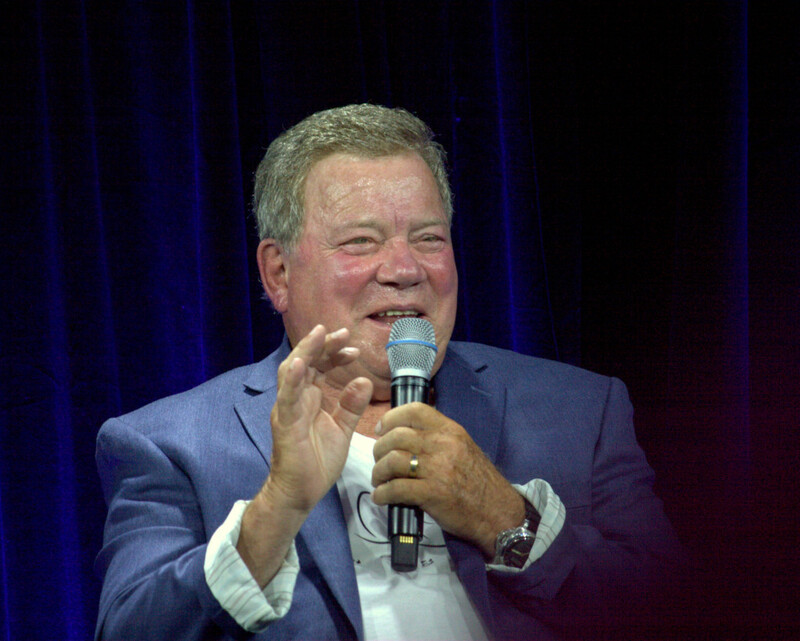 The full William Shatner panel will be available for viewing on the Nerd Machine website at some point, so if you want to see the panel in all its glory you should check that out. It was incredible to see a legend in person and I hope I get a chance to do so again next year. Even better, perhaps both our teams will win giSHWhes and I’ll get to hang with him in Costa Rica. You never know, right? But even if that doesn’t happen, I was happy to see him at Nerd HQ and I’m super excited to see his currently in progress projects come to fruition. Stephanie “Angel” Wilson is the admin of The Geekiary and a geek culture commentator. She earned a BA in Film & Digital Media from UC Santa Cruz. She’s contributed to various podcasts and webcasts including An Englishman in San Diego, Free to Be Radio, and Genre TV for All. She’s written for Friends of Comic Con and is a 2019 Hugo Award nominee for contributing fanfic on AO3.